This week, it’s all about the MIDEM Festival and next month sees the return of the even more glamorous Cannes Film Festival, many forget that Cannes is a city where lots of ordinary people live and which has a great central market, as well as some other seasonal and local ones. The main market for fresh produce is the covered Marché Forville on the Place du Marché Forville near the railway station. This is a main source of supply for the fine restaurants in the area, but it’s equally a market where you can buy just about anything else, including Penneys-price-level clothing. And you can say ‘I bought it in Cannes’! The Marché Provençal Forville runs all year round every day except Monday from 08:00 to 13:00. 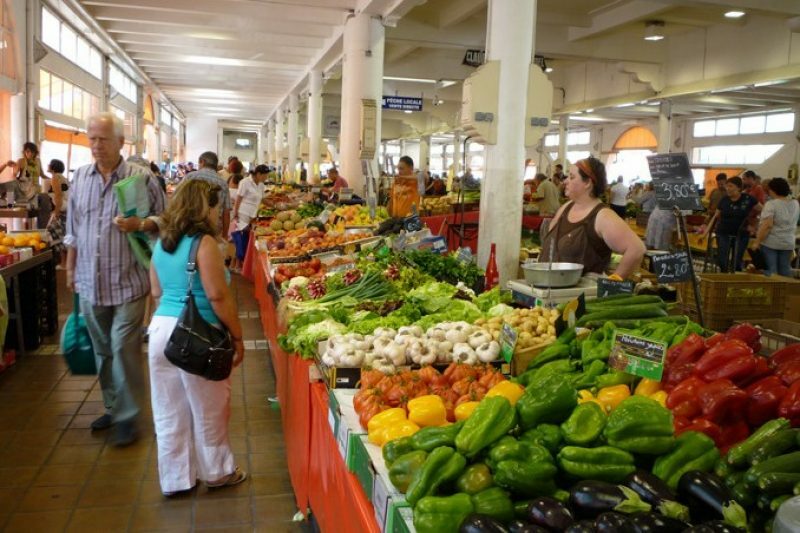 The Marché Provençal Gambetta is a sizeable secondary market in a nice setting a few streets in from main strip of palace hotels and not far from the non-stop shopping street of Rue d’Antibes. The fare is similar here and it’s open every day throughout the year from 08:00 to 13:00. The Marché de Brocante des Allées is a more bric-a-brac affair located just off the Croisette and near the Palais des Festivals and the Mairie. Depending on the season, its size varies enormously, as do the opening hours, which are officially from 08:00 to 18:00. Les Nocturnes Bocassiennes is the night-time market that runs throughout the year from 19:00 to 00:00. This has great atmosphere for browsing, particularly in the summer months when that Riviera warmth and light are there. This is also in the more traditional end of Cannes, where it’s most relaxed and Mediterranean. Often extends out to the Quai St Pierre, where you can also enjoy admiring moored beautiful over-sized yachts.